The Perfect, Sweet, Little Stocking Stuffer! 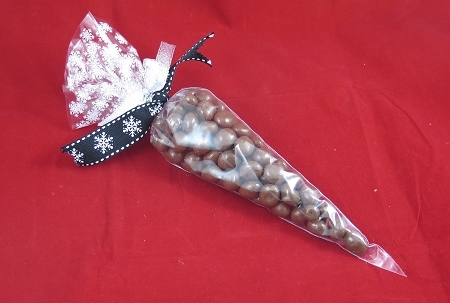 4.5 Oz Decretive Gift Bag of Bonomo Taffy Nibbles! Available in Vanilla and Banana Taffy!